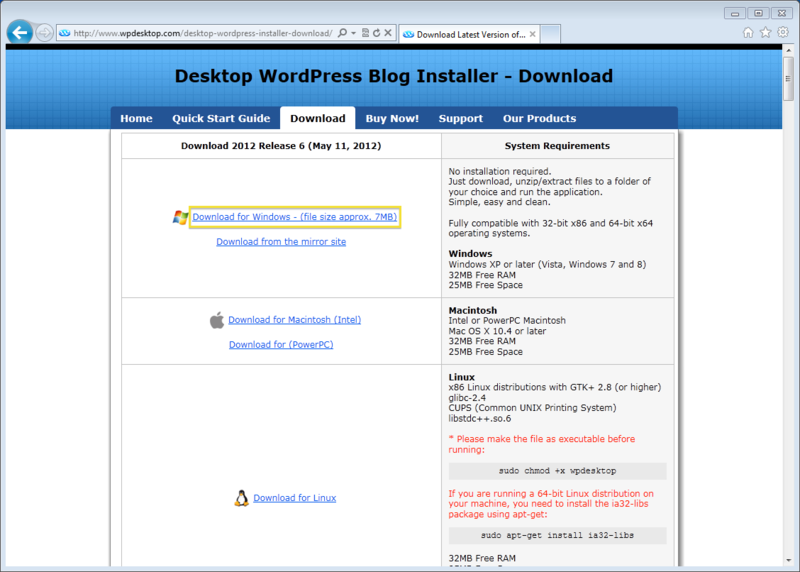 » Quick Standard WordPress Blog Installation. 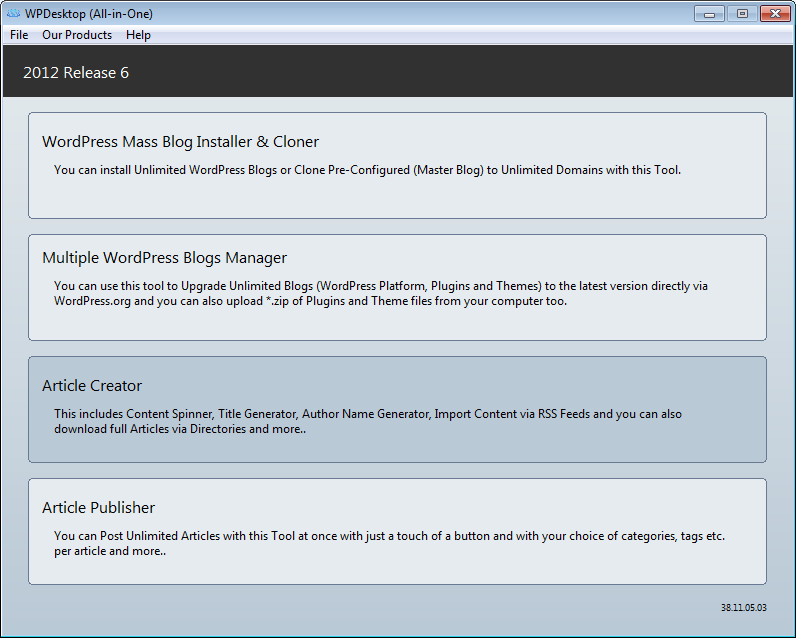 » How to Install Multiple WordPress Blogs. 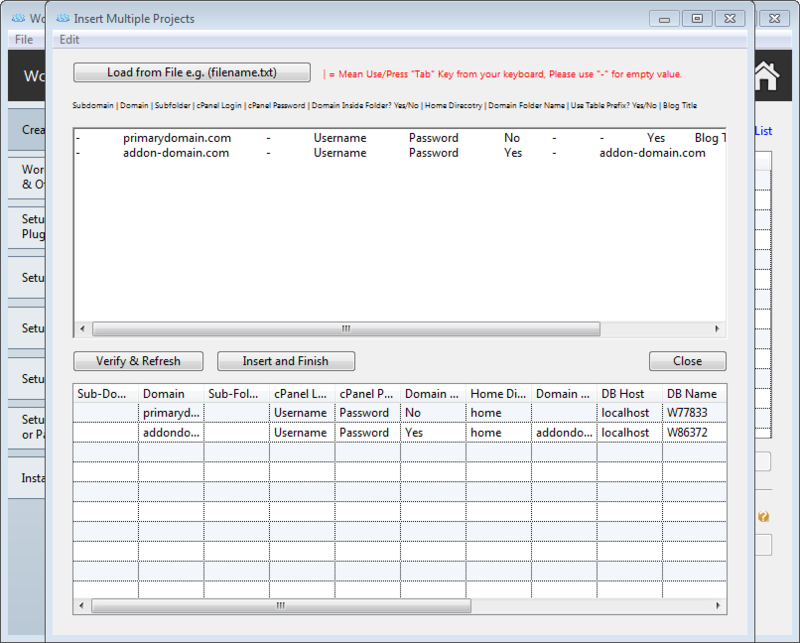 » How to setup Domain/Hosting Account Information for Primary Domain in cPanel. » How to setup Domain/Hosting Account Information for Add-On Domain in cPanel. 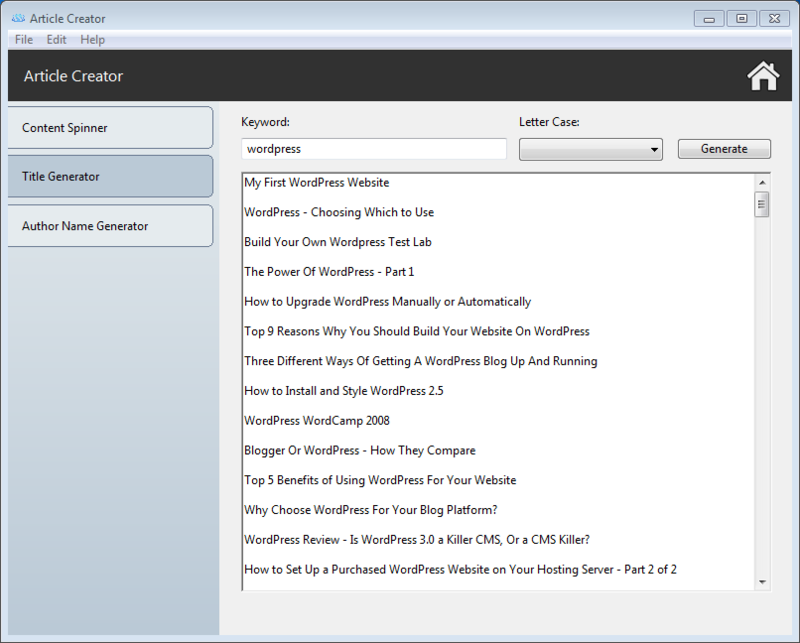 » How to Build and Use Custom WordPress (ZIP File) with your own customized files etc. 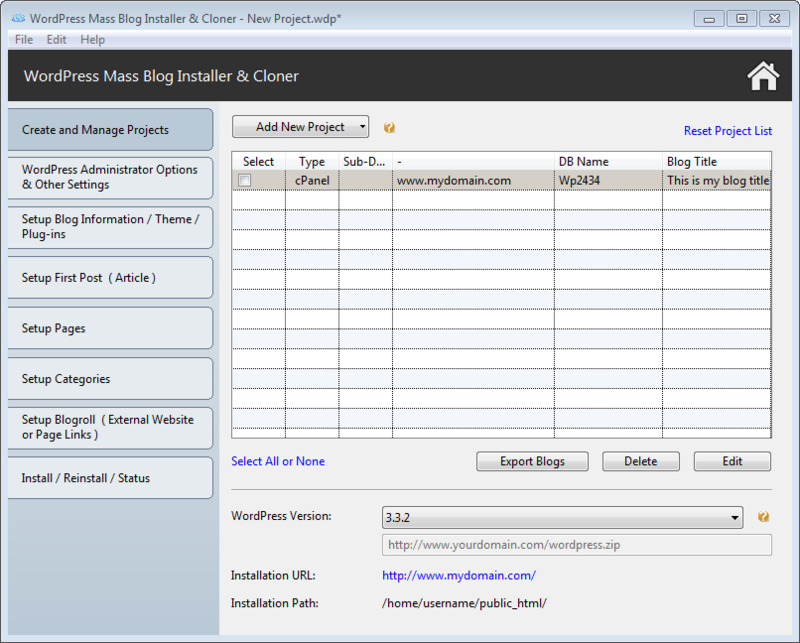 Blog to a New Domain(s)/Sub-Domain/Sub-Folder etc. 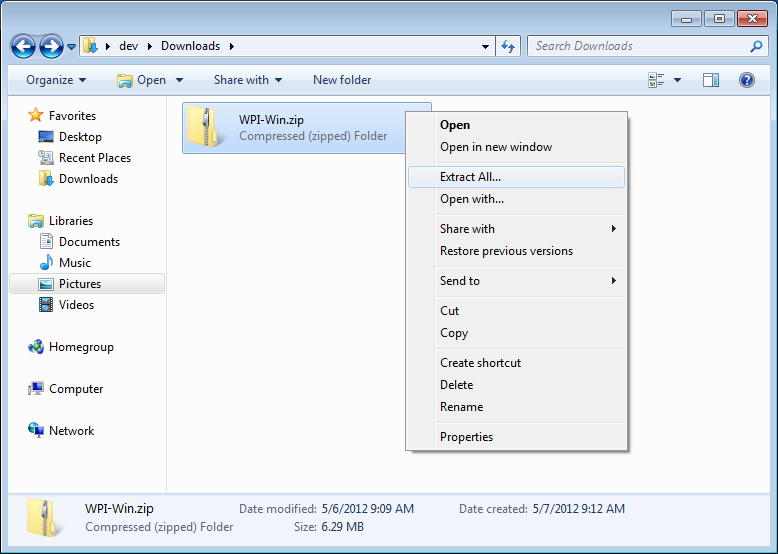 Blog (Backup ZIP File) to your Computer. 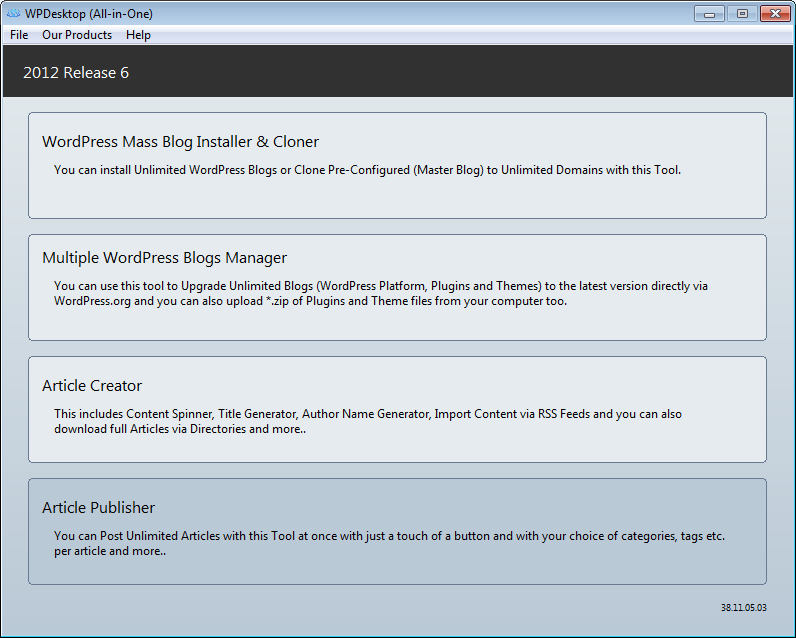 Plugins and Current Theme etc. 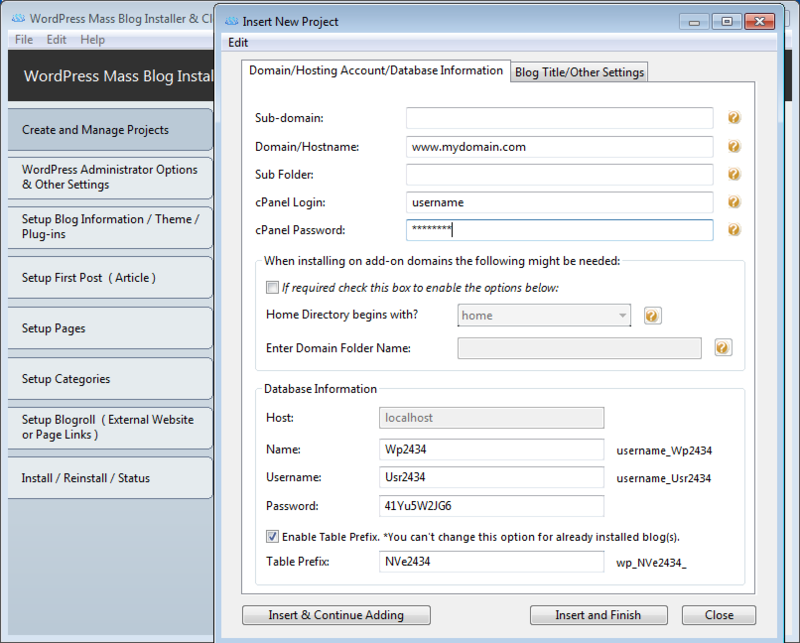 » Change all Blogs Password to New Password. 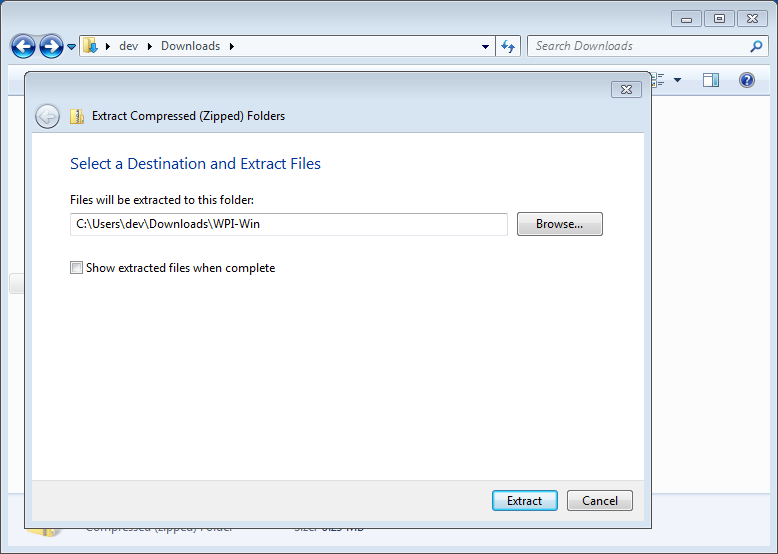 » Upload Unlimited Plugins in ZIP Format from your computer. 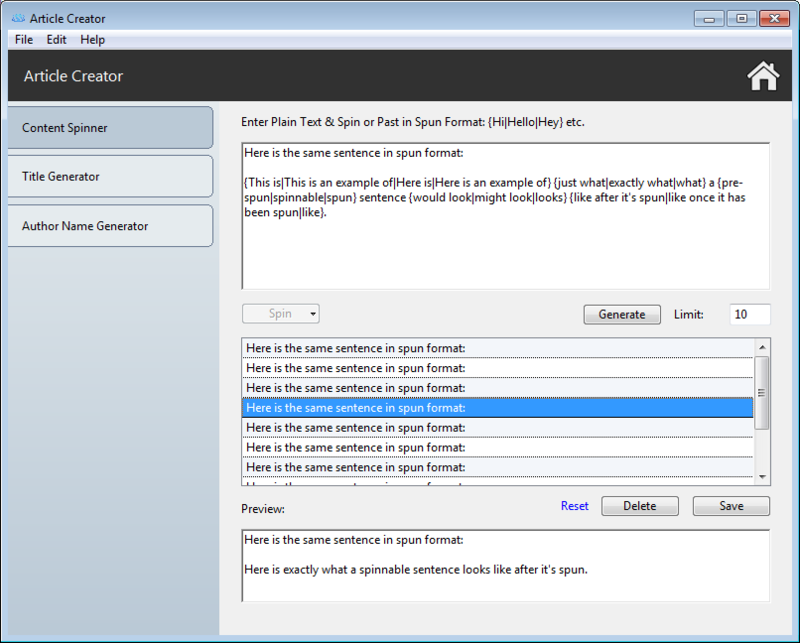 » Upload 9 Themes in ZIP Format from your computer. 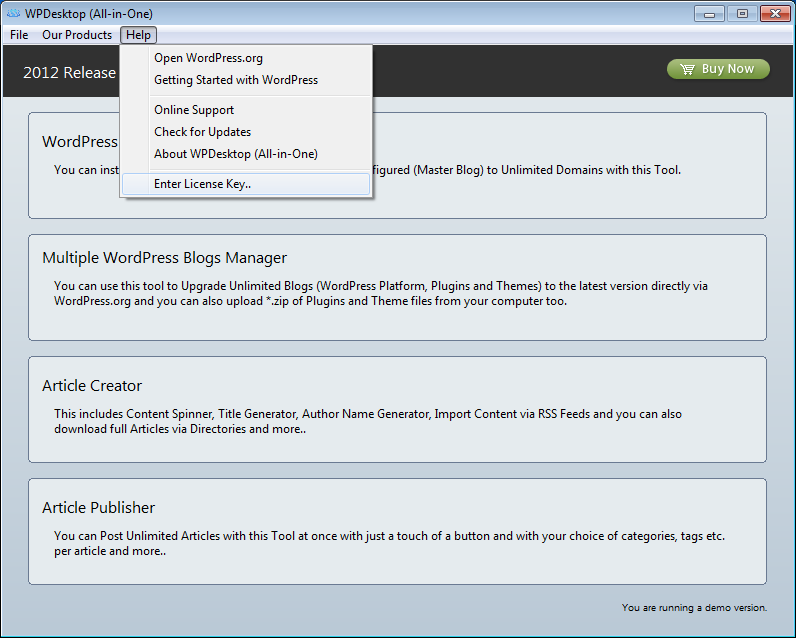 » How to Enable XML-RPC Access to Your WordPress Site. * Same steps for all the operating systems. 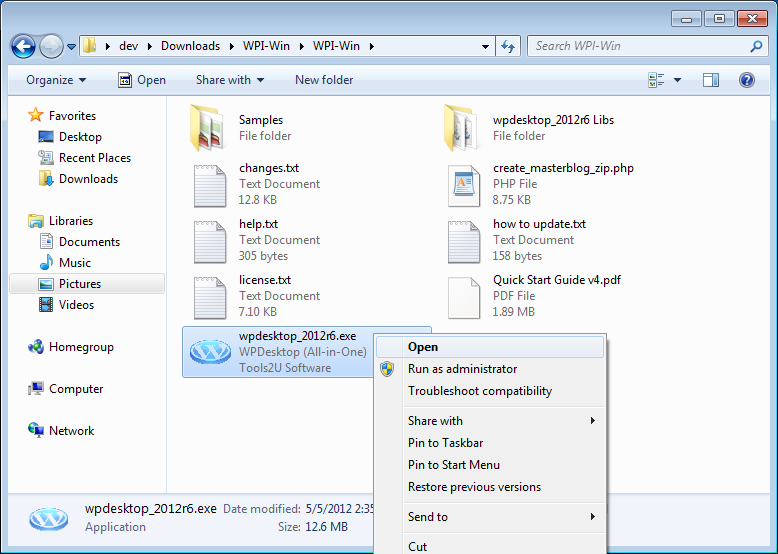 Run the software by double clicking on "wpdesktop_xxx.exe" etc. 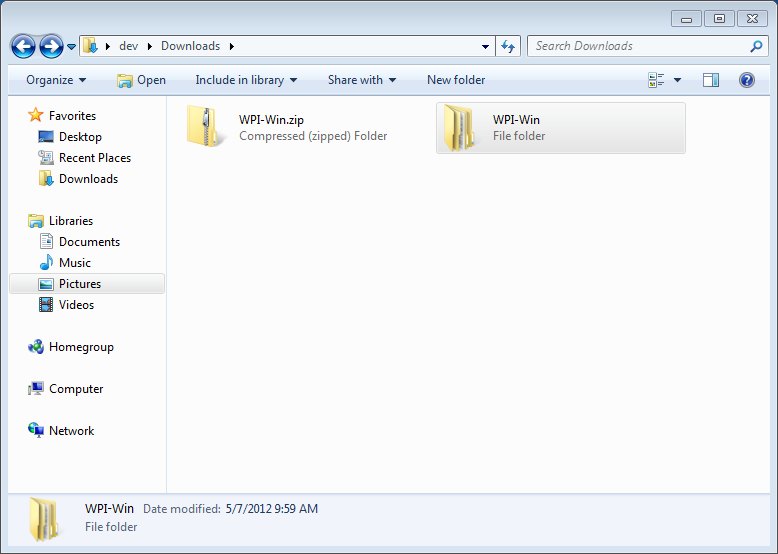 When you first open WPDesktop (All-in-One) Software, the Quick Start Menu will appear. 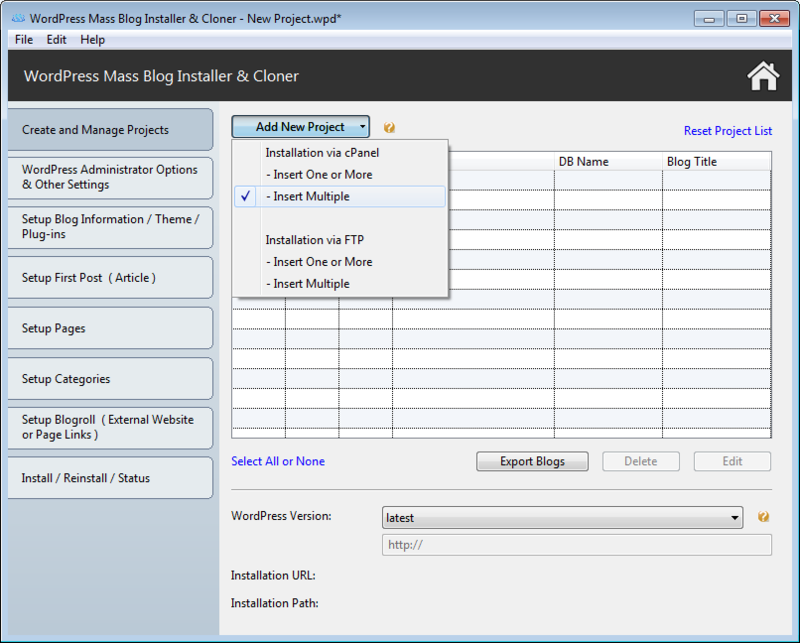 From this screen you can jump right into any feature of the program. Run the software and go to 'Enter License Key...' from 'Help' Menu. 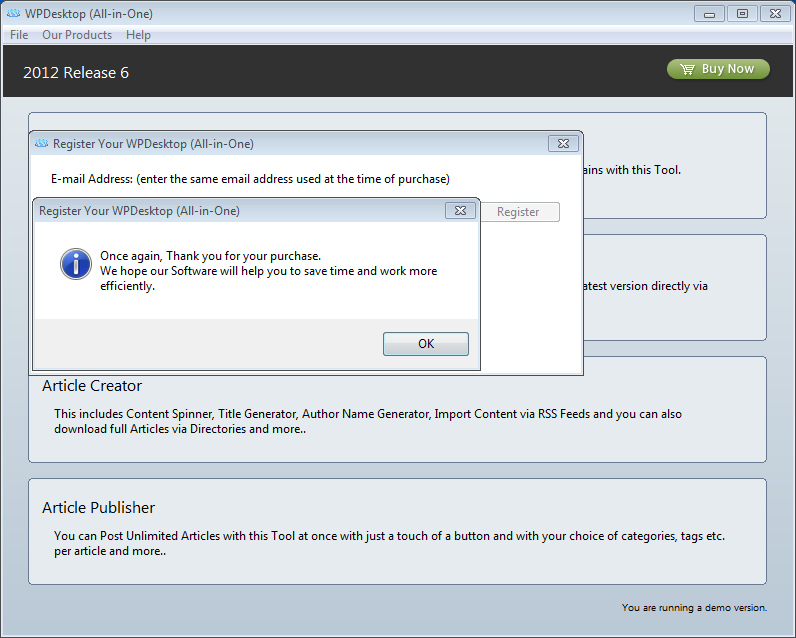 Now enter the same email address used at the time of purchasing into E-mail Address field and click "Register" Button. 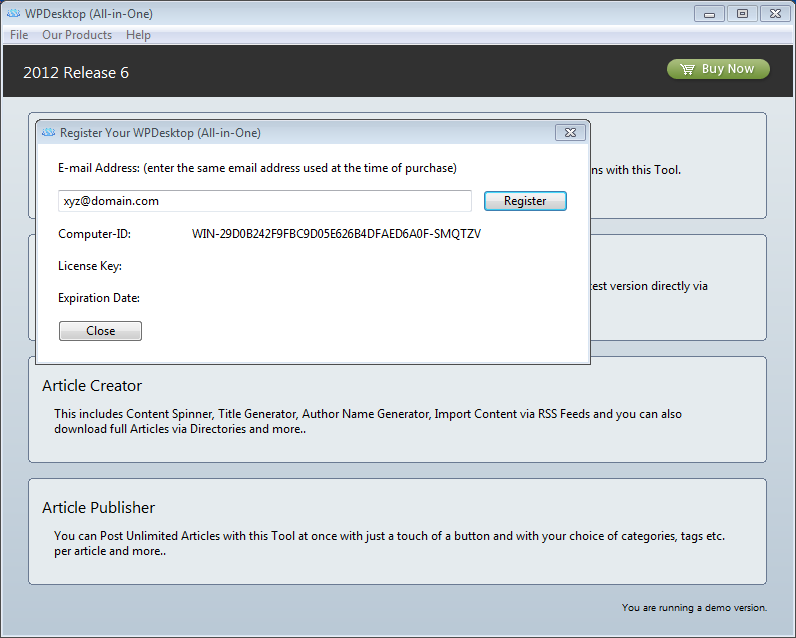 Now you are done registering your software, Congratulations. 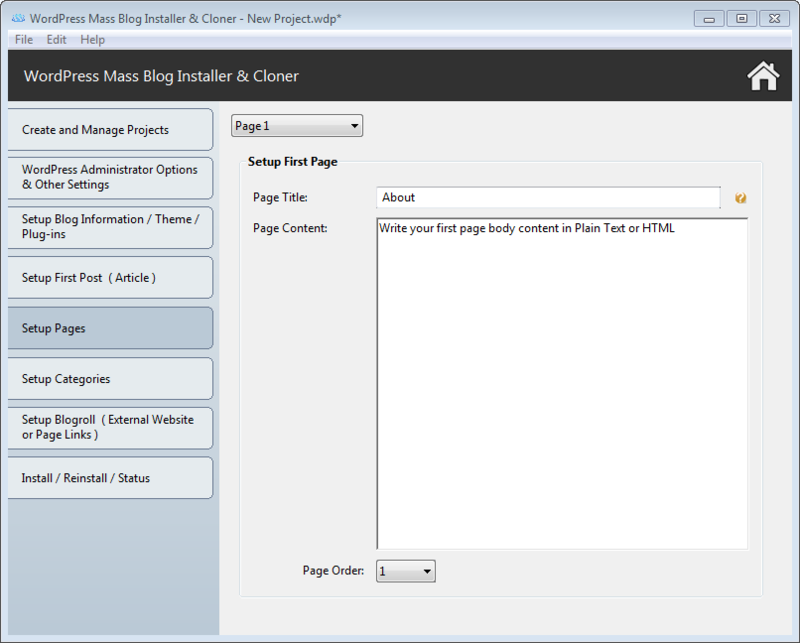 In this example we are going to show you how to, with less information, get the standard blog installation done within few minutes. 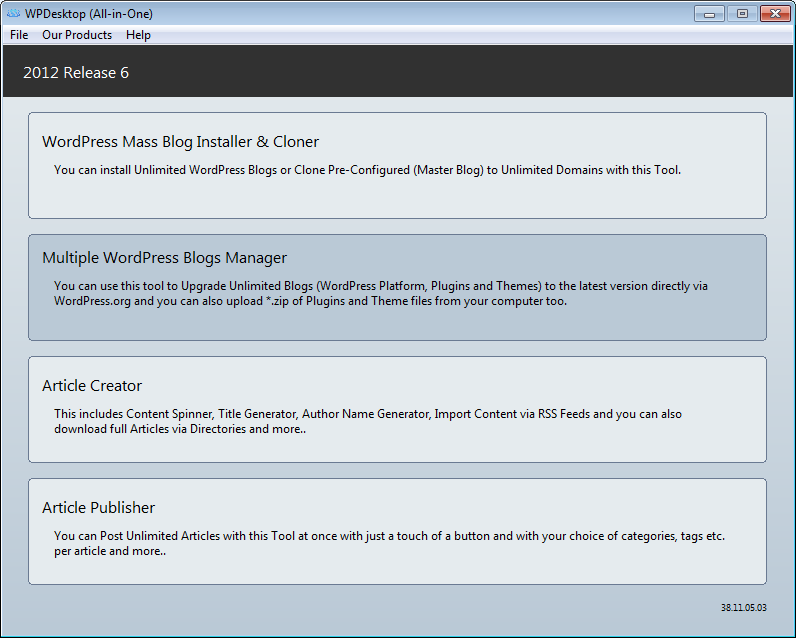 So this is going to be without your WordPress Theme, Plug-ins and Settings instead this uses the Default WordPress Theme and Plugins etc. 1. Enter your Domain/Hostname of your blog, this can be found in your cPanel account. 2. 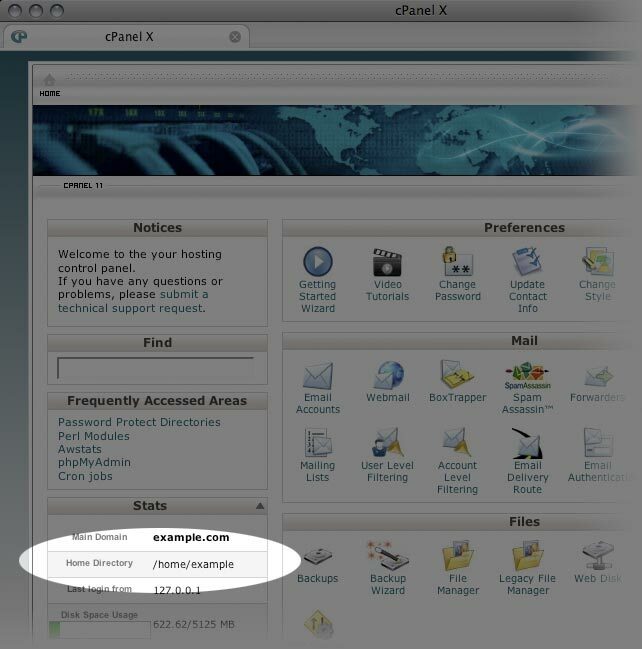 Enter your cPanel login and cPanel Password. 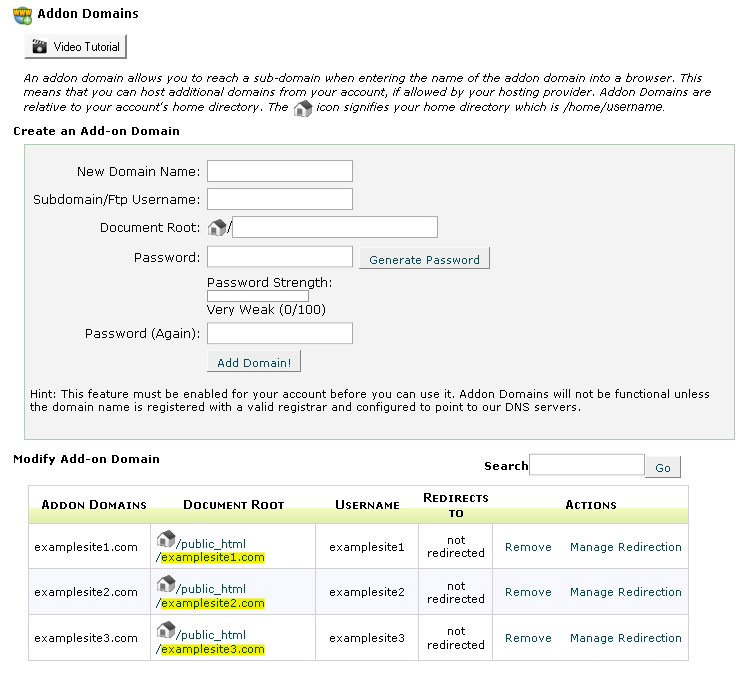 Skip the next section, if Home Directory is /home/username. 3. 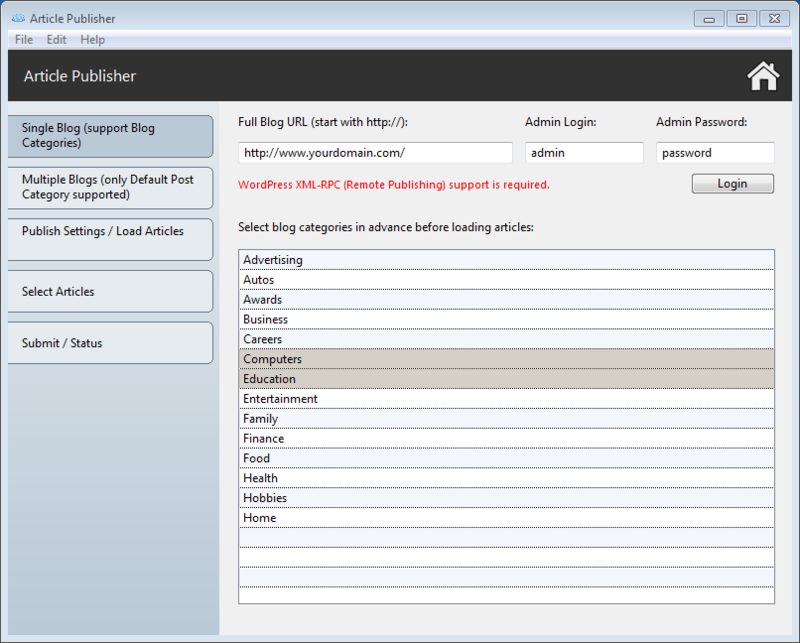 Enter the name of your blog/site. 4. 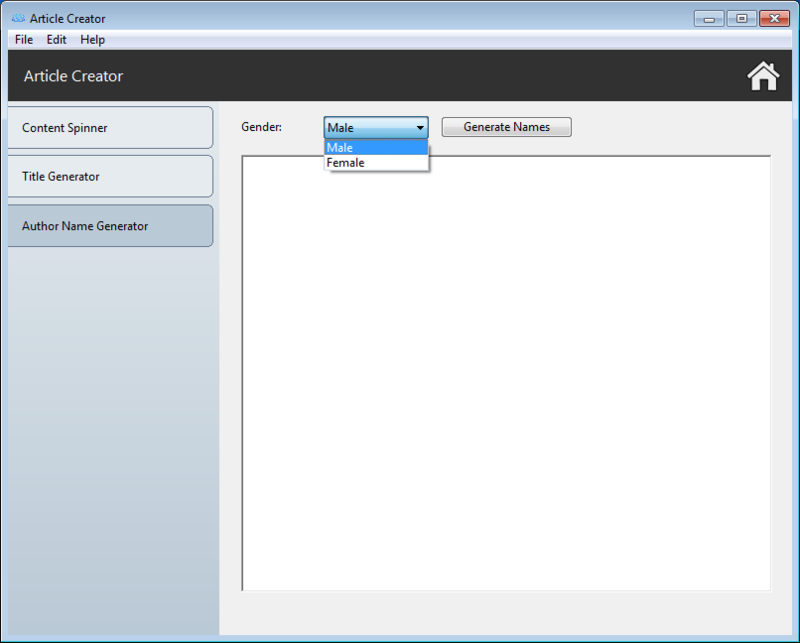 If you intend to use only one database, then tick the box of "Single DB". 5. 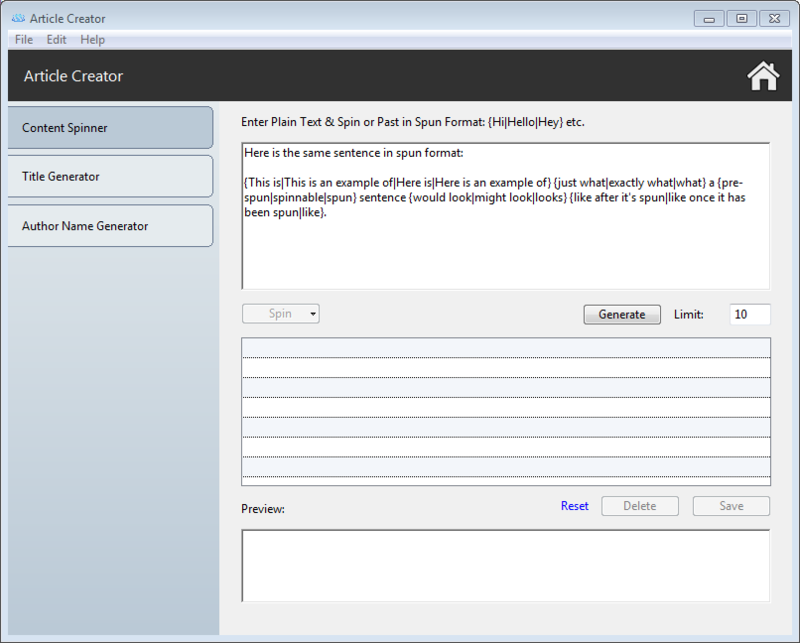 Click on "Insert and Finish" button. 6. 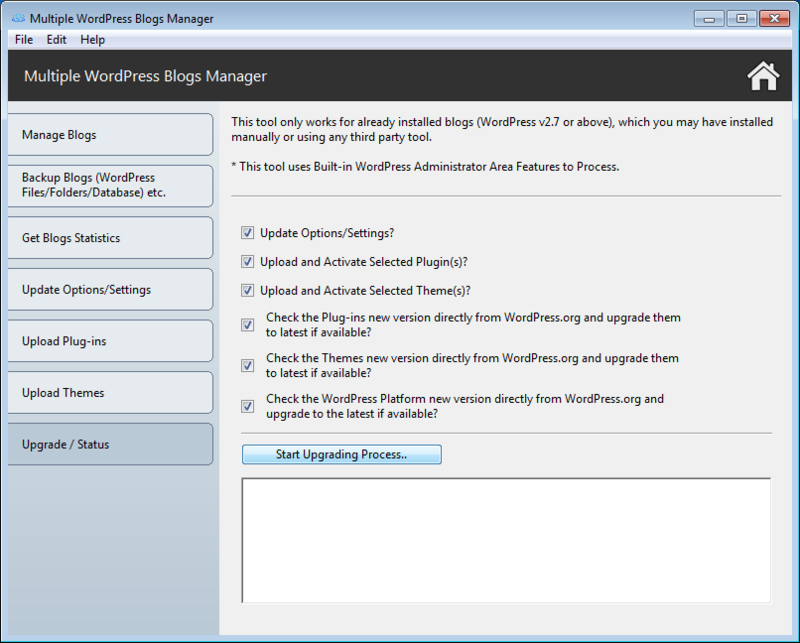 You can leave WordPress Versions option at the latest or if you want an earlier version, choose the correct option. 7. Enter a Tagline. In a few words, explain what your site is about. Your sites's slogan, or tagline, might be entered here. A tagline is short phrase, or sentence, used to convey the essence of the site and is often funny or eye-catching. 8. 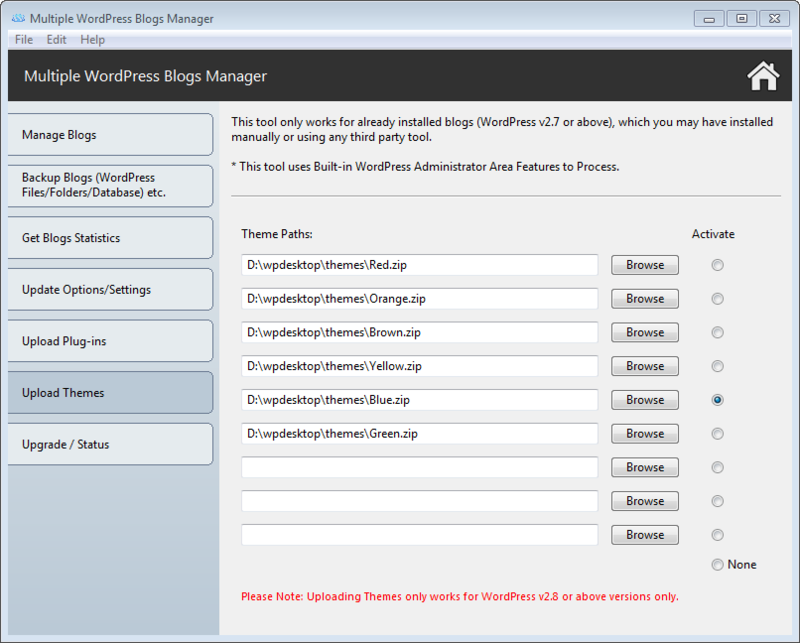 Enter the e-mail address to which you want WordPress to send messages regarding the administration and maintenance of your WordPress site. The e-mail address you enter here will never be displayed on the site. 9. 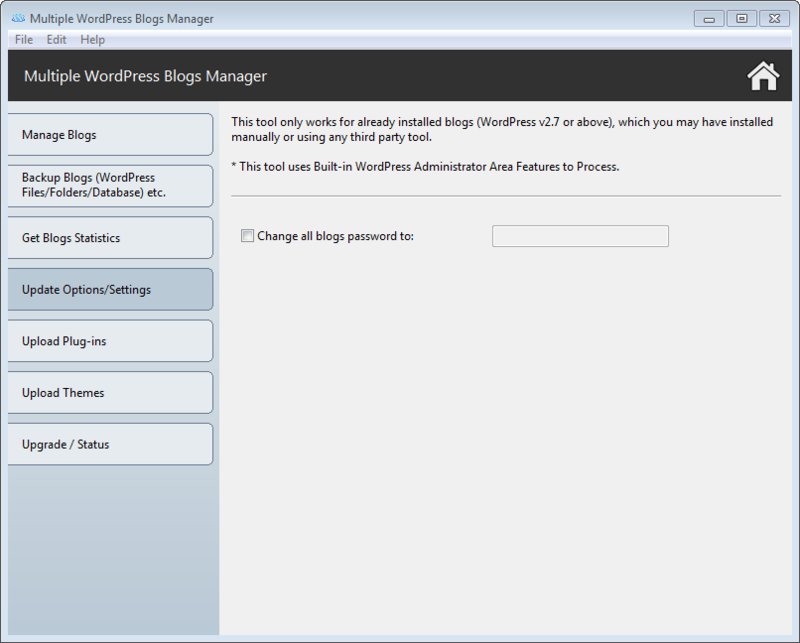 Enter WordPress Administrator Login and Password. 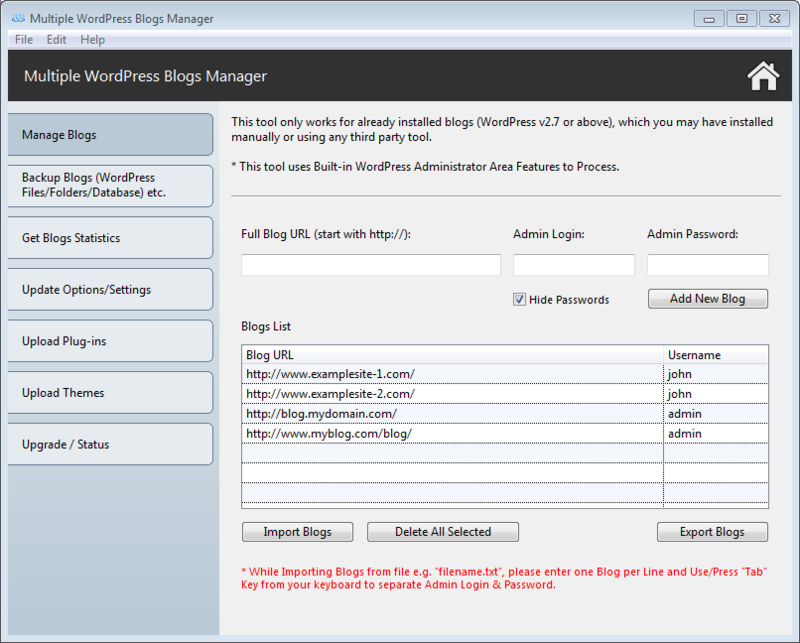 The admin account provides access to the WordPress Administration Panel. 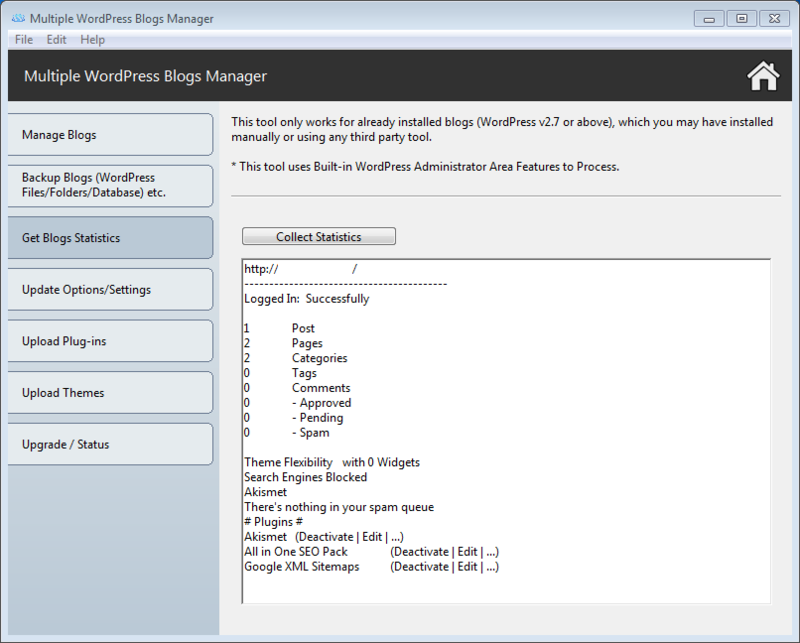 The Administration Panel provides access to the control features of your WordPress installation. 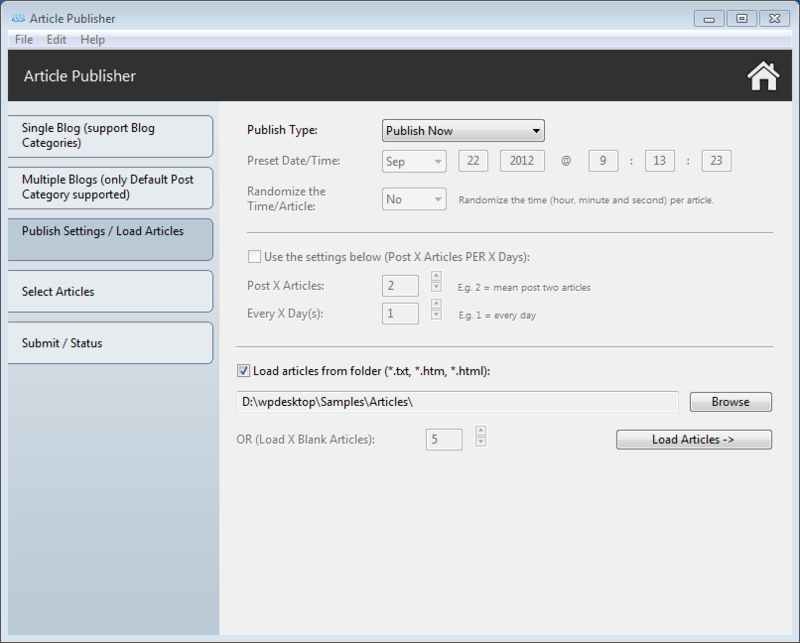 Enter the "First Article/Post Title"
Enter your "First Article/Post Body Content"
Enter the "First Page Title"
Enter the "First Page Body Content"
Enter name and description for your categories and click on "Add New Category"
* (Optional) Setup Your Blog External Links - WordPress allows you to store a set of external links, also known as "blogroll". These links can be added into category. 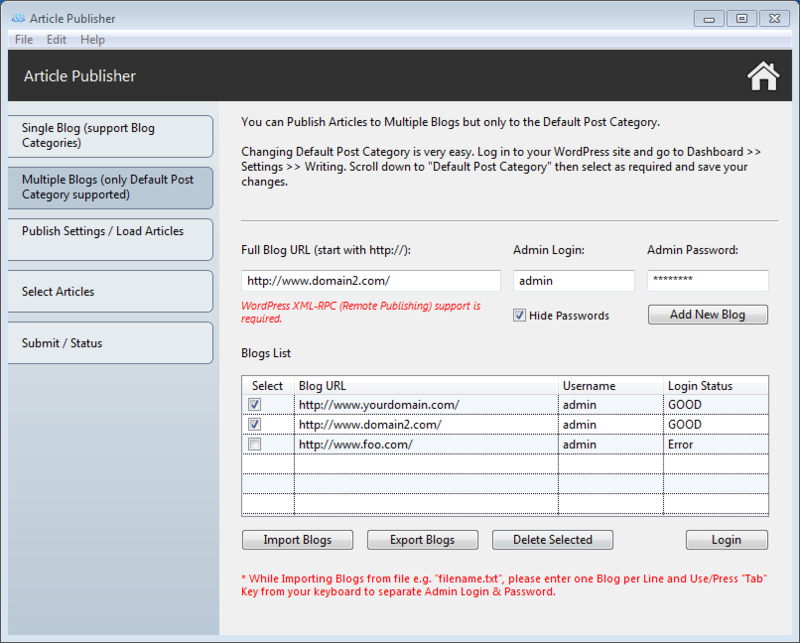 > You can rename Default WordPress Links Category to any name using this field "Rename Blogroll"
>> Enter the URL Title and the Link of URL and click on "Add New Link"
10. 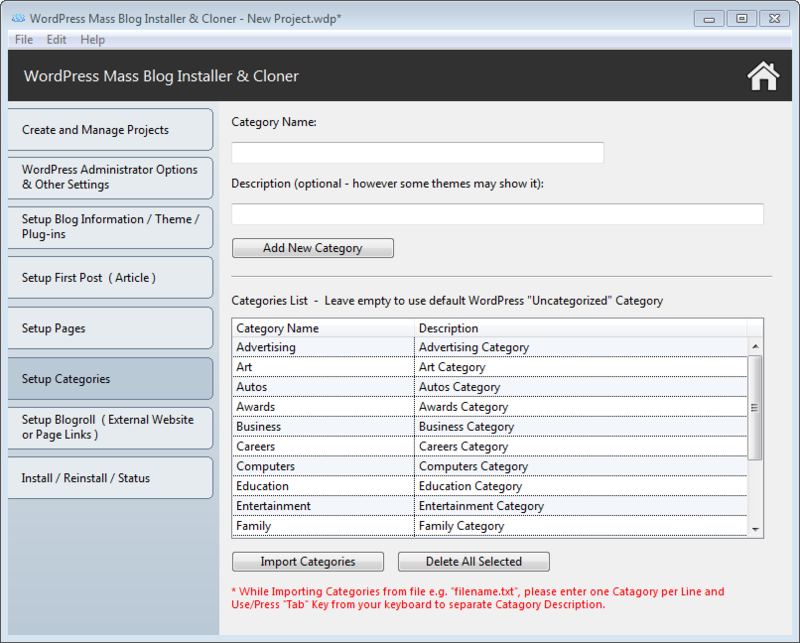 Click on the "Install/Reinstall/Status" tab and then click on the "New Install/Reinstall" button. 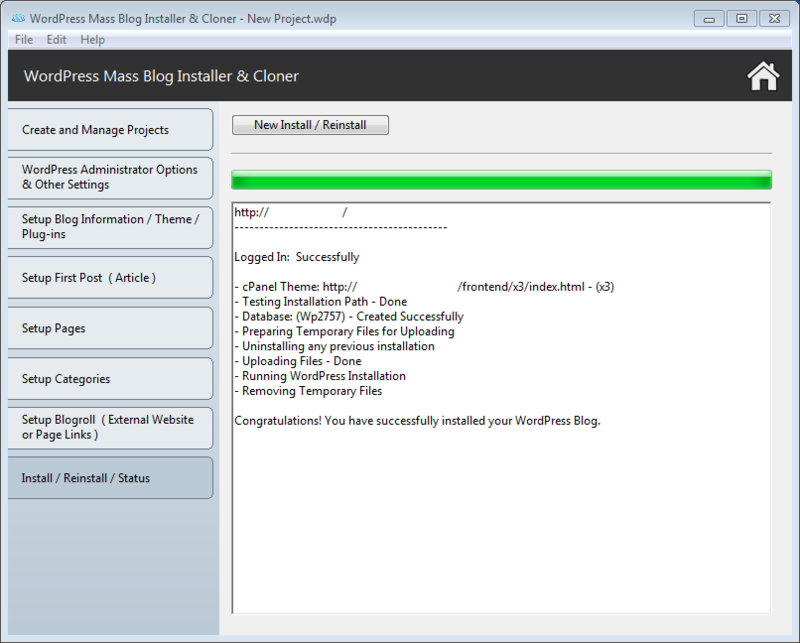 Watch while our Software is Processing the Installation.. 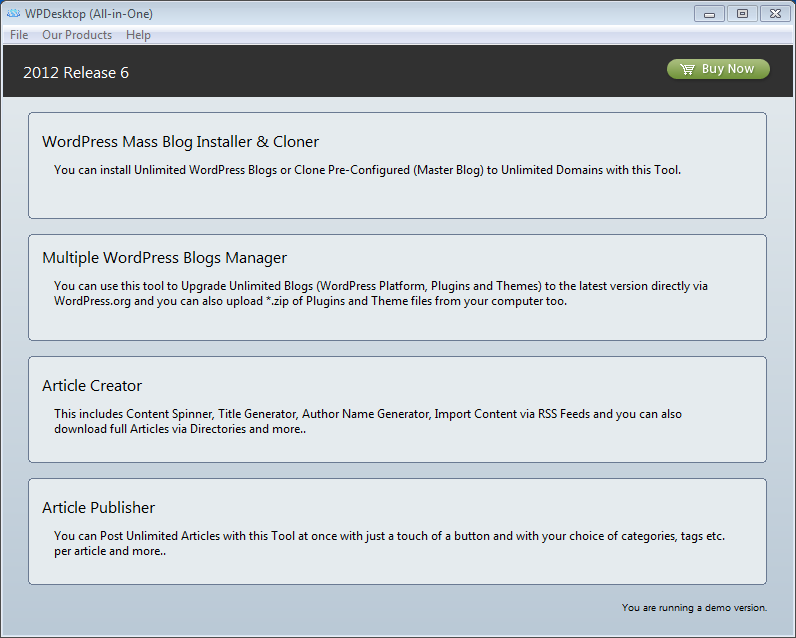 When the installation is finished, our software will congratulate you for your Wordpress Blog Installation! 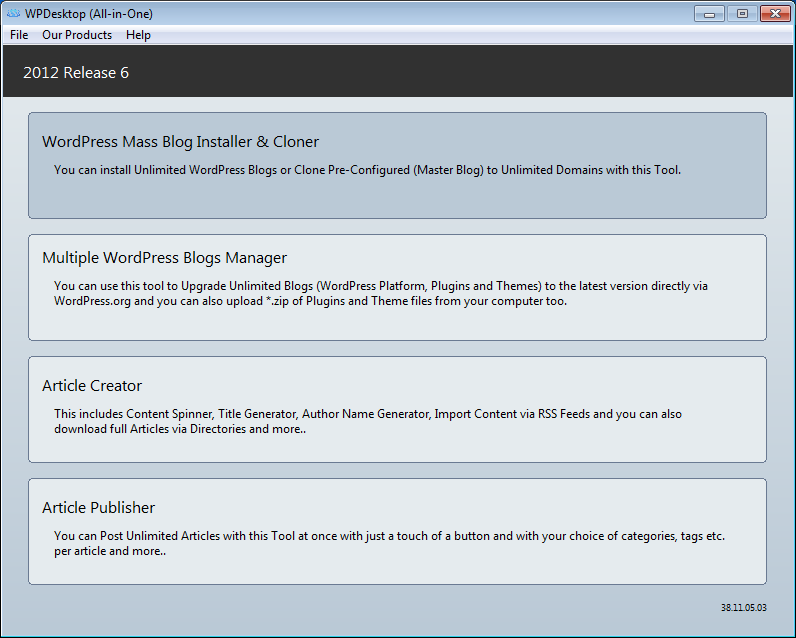 That's all it needs for Standard Wordpress Blog Installation. 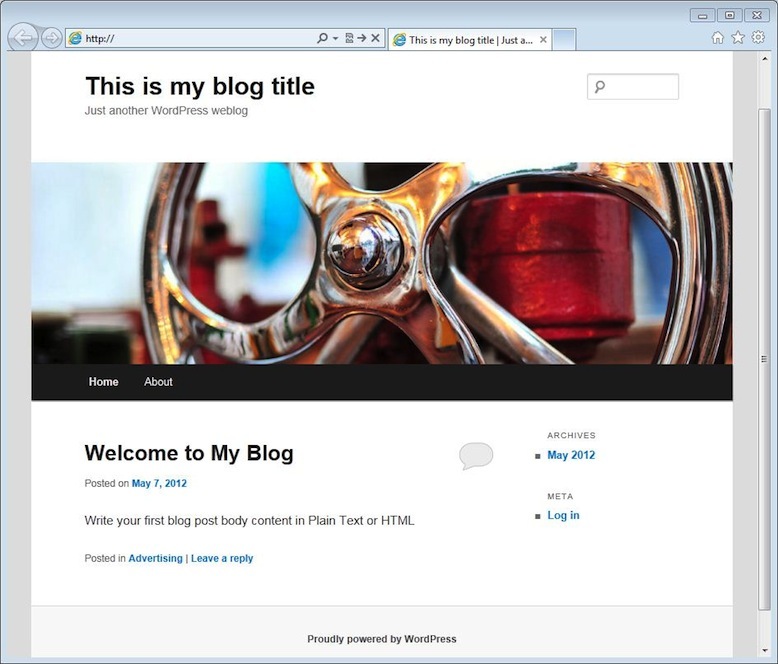 First Look after Standard WordPress Blog Installation..
1. 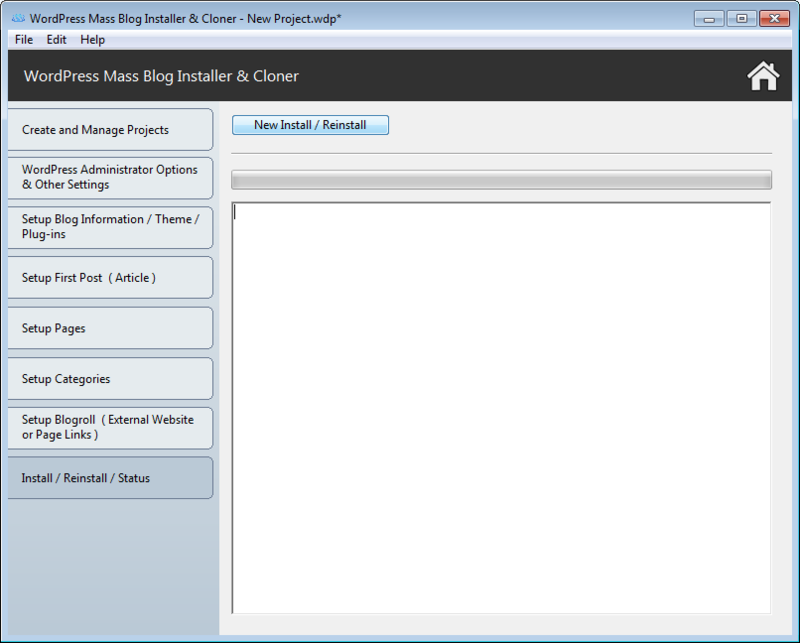 Upload "create_masterblog_zip.php" file from the software folder to your Master Blog folder using FTP Client. 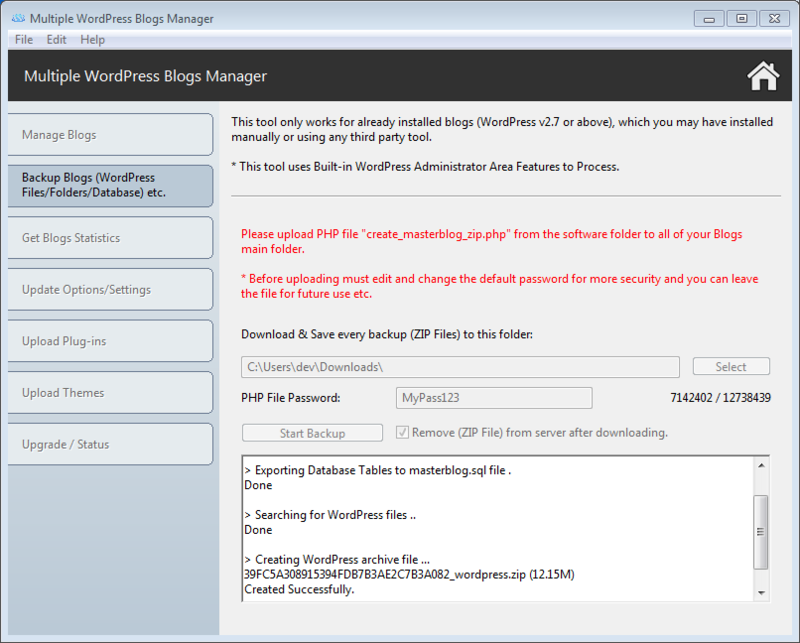 Please Note: Before uploading "create_masterblog_zip.php" change the default password which is "MyPass123" and you can leave this file on the server for regular backups etc. 2. 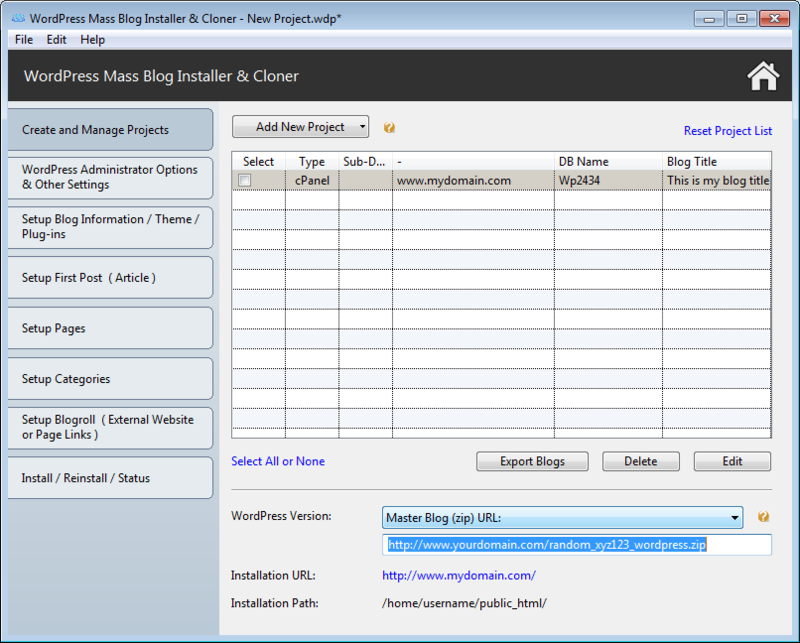 Browse URL to "http://myblog.com/create_masterblog_zip.php" file from your PC Browser, once it's finished. 4. 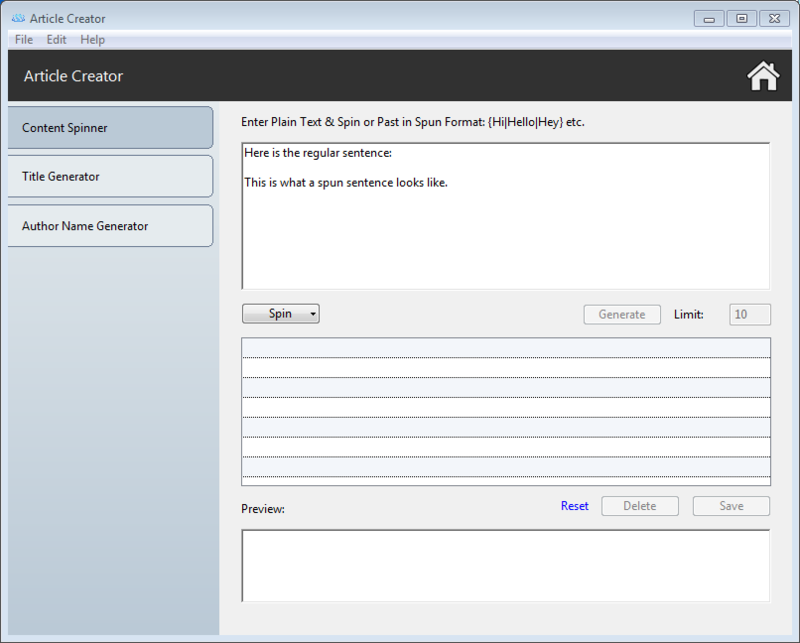 Rename newly downloaded database SQL filename to "masterblog.sql"
Once you are done for entering the data, click on "Verify & Refresh" button and check columns/rows data is fine then click "Insert and Finish" button. 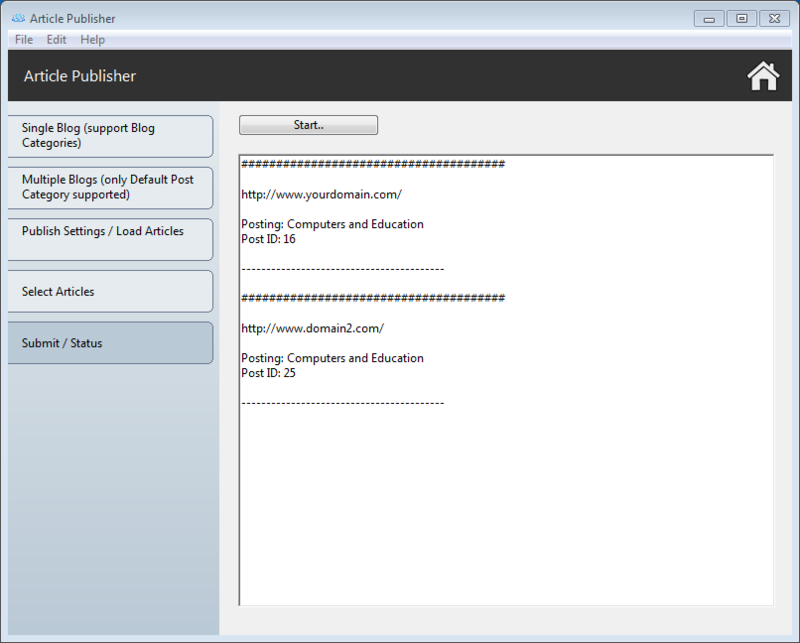 Enabling XML-RPC is very easy. 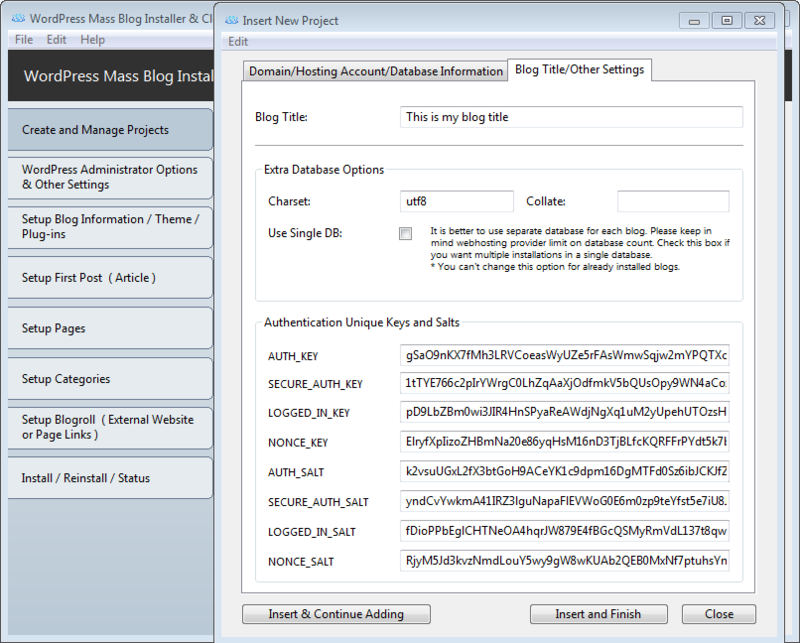 Log in to your WordPress site and go to Dashboard >> Settings >> Writing. 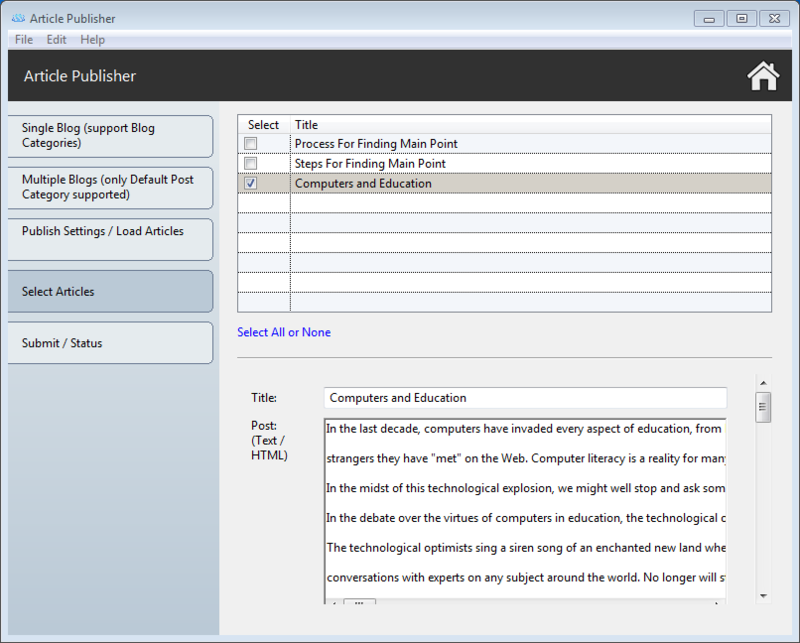 Scroll down to Remote Publishing, then check XML-RPC and save your changes. 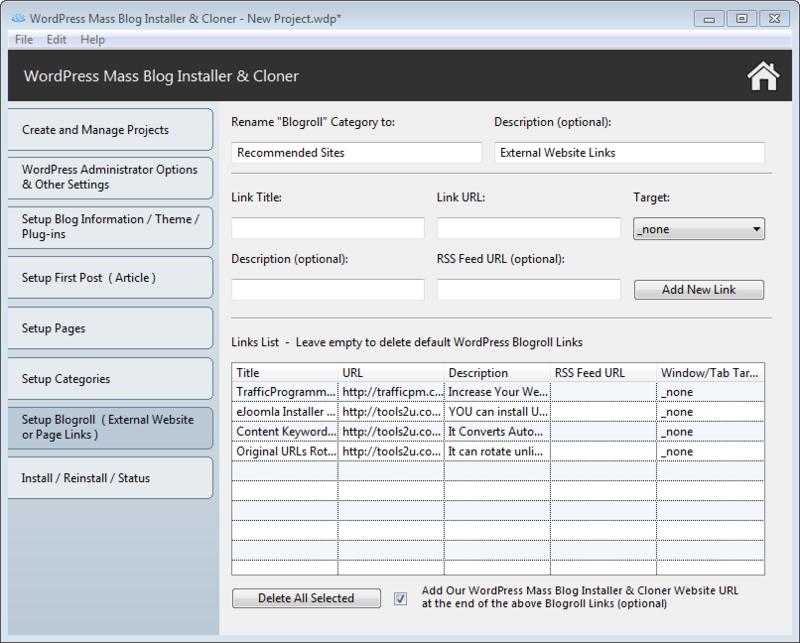 Now your blog is open to receiving posts using our tool.